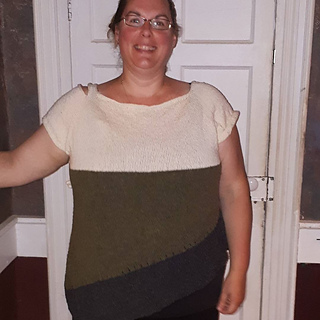 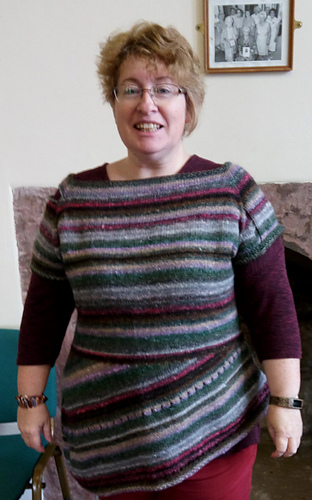 This shirt is knit in one piece from neckline to bottom hem, arms are bound off when you separate them from the body, so you never need to think about keeping some yarn in the right colour to finish a certain part. 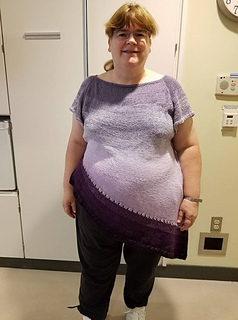 The shaping is done by short rows and the eyelet rows help accentuate the asymmetrical shape. 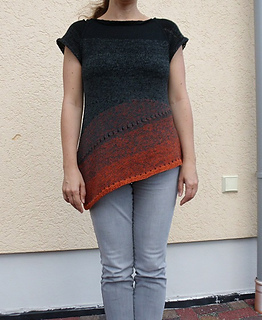 A slit in the left sleeve and optional dropped stitches in the right add visual interest to the top part.